Tear down-Nitecore TIP and Long term review.Share your thoughts and experiences. 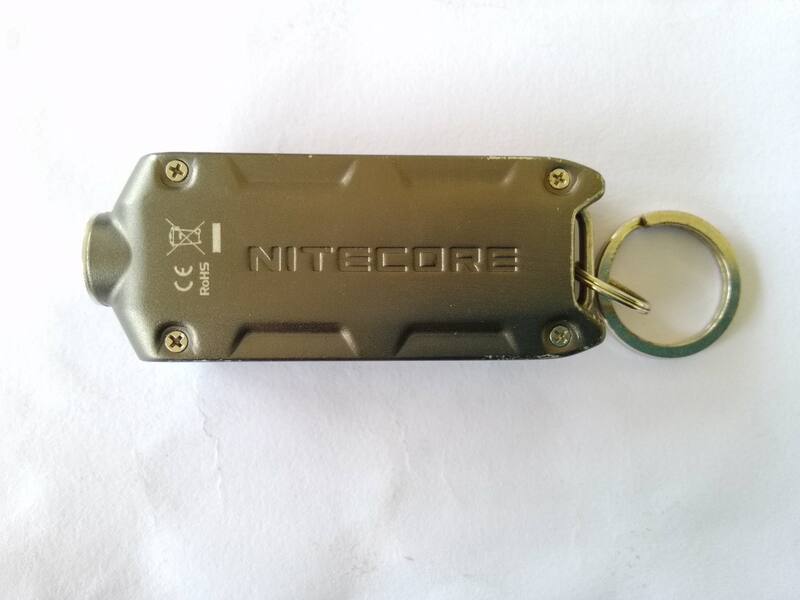 Hi everyone, I have been planning to do a review on my favorite edc Nitecore TIP, for a very long time. 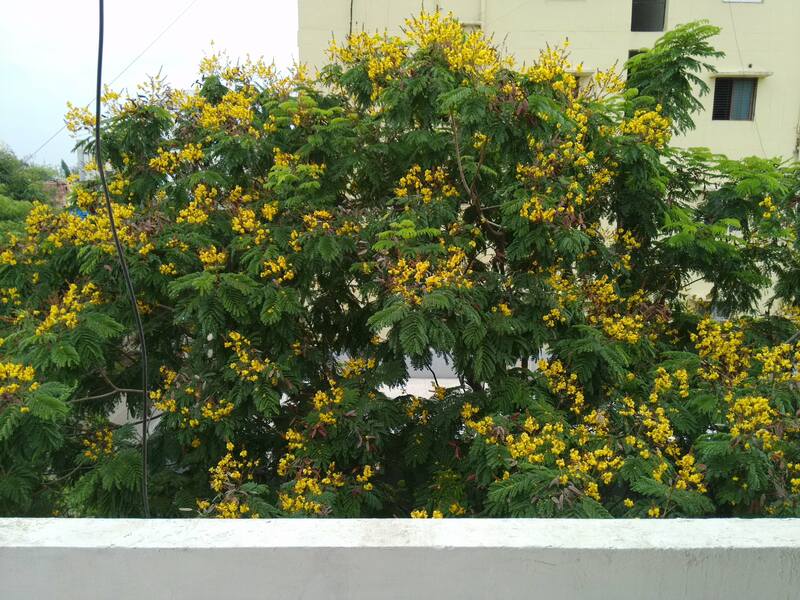 But due to some work related problems I couldn't complete my review.So this kind of is a long term user review . I know this light has been around for a while but still it would be good to mention it's basic manufacturer specs here before starting. So to start with , this has been my everyday go to edc,from the very first day I bought this,around 2 year before. It replaced my broken Nitecore tube .I got this at around 24$ back then, but now it's going really cheap at around 16$. Iam currently having the 2016edition of the NC TIP, in metallic gray finish. As you can see in the picture it has held on well to its metallic finish even after daily pocket carrying. Of course I take good care of it and doesn't keep it in pocket along with other keys.I haven't attached anything to its key ring, as I prefer carrying it without any additional attachments. The runtimes at medium is just sufficient for occasional night trips to my garage at night.I usually charges once in a week ,after atleast 10 min daily on medium and high together. The light itself is very attractive and durable. It has the most user friendly and tactile switches, I have ever used in any key chain lights.The mode separation and short cut to high and low are brilliantly put together in this light by the Nitecore's engineers.Also the way in which turbo is separated from normal mode group is well planned and helps in unwanted brightness while cycling through modes.Its simple battery indicator also comes in handy ,to analyse how much power left at any time and thus saving you from unexpected blackouts during night walks. 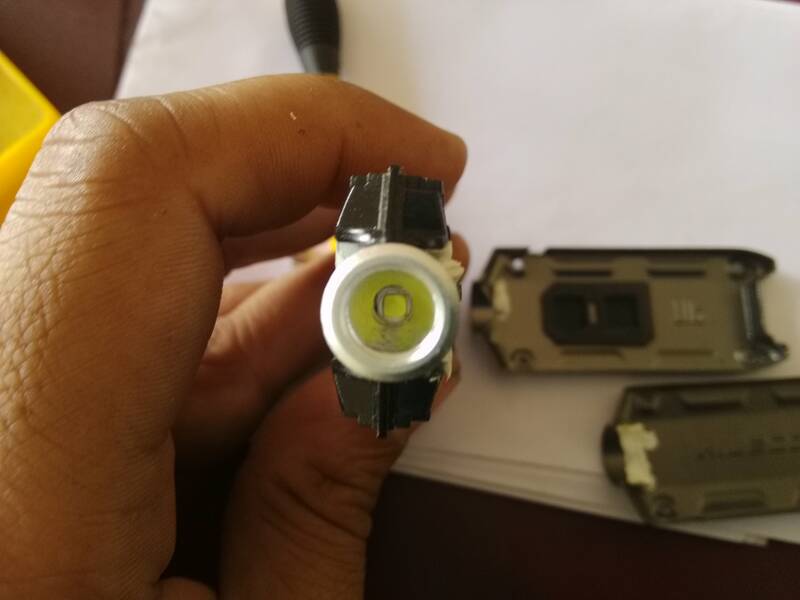 The highlighting feature which attracted to this light was the 360 lumens and big 500mah battery.This much brightness and battery power in such a small light ,that too at this price point is just wonderful.After getting this light ,I couldn't get a reason to try or buy another edc light. After having this for around 2 years my favourite and my most useful feature is the moonlight mode. It comes in handy to find my phones charging cable or to find my water bottle at night without turning other lights disturbing others. I was just curious to check what is inside and was happy about the overall built quality. It was not easy to dismantle,like the Nitecore tube since everything is so closely and tightly packed. The light is held up by a strong plastic frame surrounded by two metallic plates held together by 8 screws. The screws are not fully stainless steel and I could notice that some screws have started rusting at the top. The two switches underneath the rubber boots are copper and noticed slight sulphation on those ,which is normal since it's not 100% water proof and little bit water or moisture can get in.But both switches have never malfunctioned until now. The LED in my light was not exactly centred, but still no artifacts were observed on the light beam. I took apart the reflector, and pulled the xpg2 LED out from the plastic frame. I was happy to see Nitecore branding on both LED board and driver board. 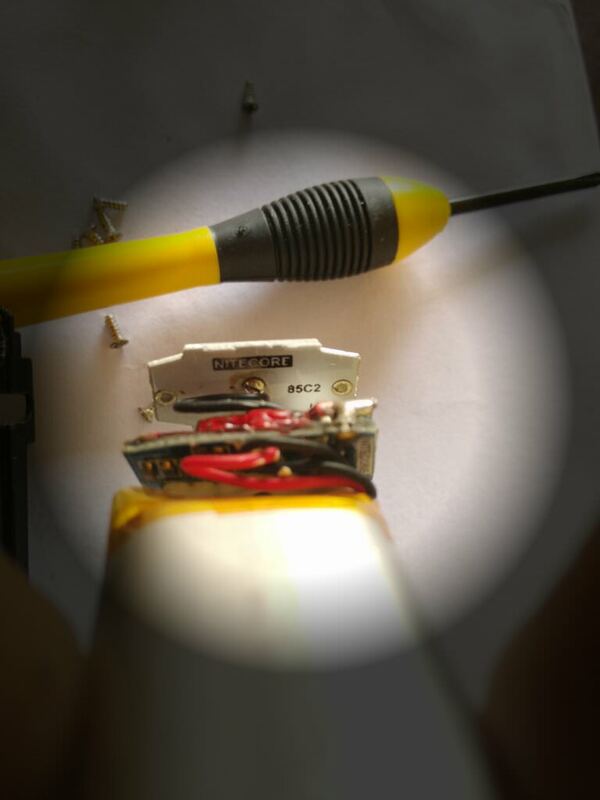 There was lot on heatsink paste around the reflector.If my believe is correct, the reflector also seem to serves as a heatsink for the LED,and which further transfers the heat to the mettalic outer plate.Nitecore claims to have automatic temperature regulation, but I didn't have had a chance to test it. Anyways when using at 150 lumens for around 7mins continuously, the flashlight becomes pretty warm.So I assume the heat transfer path is good from LED to the metallic outer plate. Talking about the quality of internals, everything is made of quality materials.The plastic frame that holds together everything is pretty strong and is not flimsy.The reflector is actually made of metal and seems to be a single piece.Everything inside is tightly and neatly packed.Infact the battery is so tightly packed, you can see the Nitecore letters of the mettalic plate pressed against it. 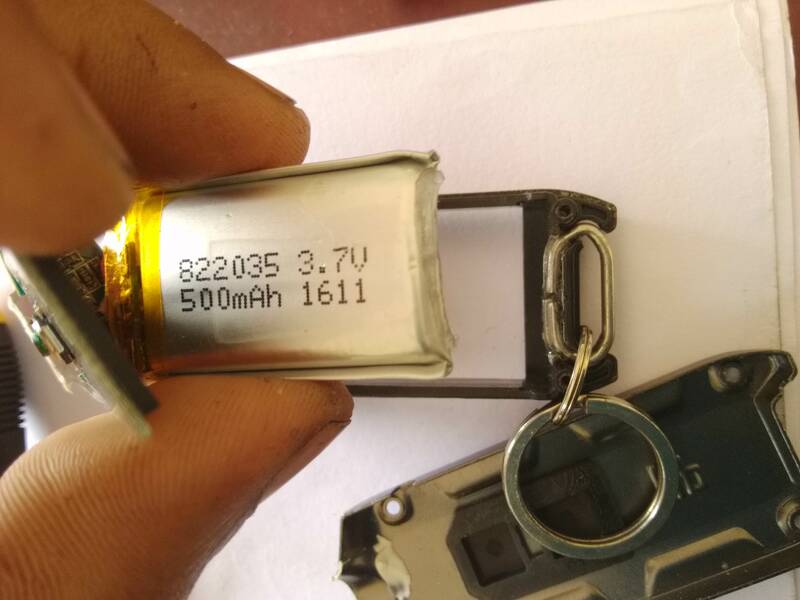 The battery is as stated 500mah lithium polymer battery.It's good to know ,that Nitecore have used the biggest possible battery in this. 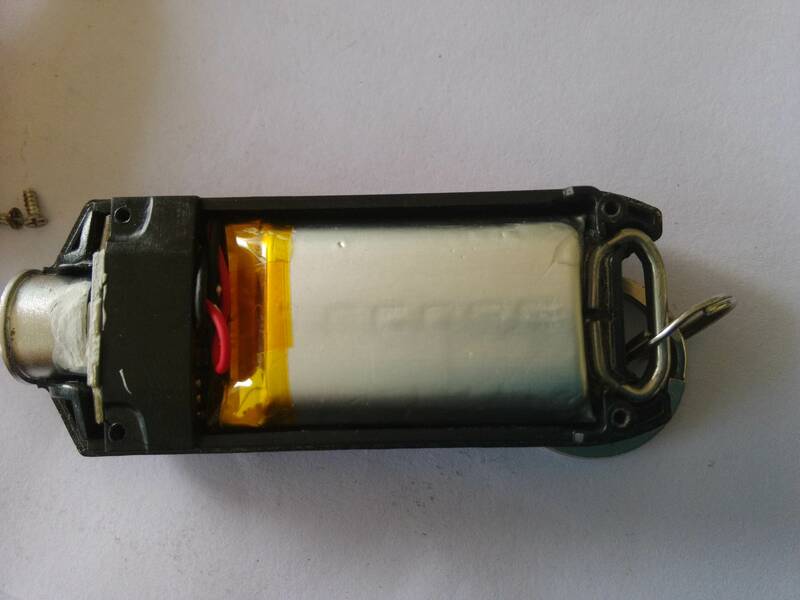 While dismantling I noticed that the battery is held to the body by some kind of glue.The keychain is also locked in position by this gel type transparent glue. Now talking about the beam quality, it's a floody one with a good throw due to its bright turbo.The xpg2 in a small textured reflector forms a beautiful floody beam without any artifacts.The beam is very useful for close-up work, like jump-starting your car, finding key holes,soldering etc.The light I have is not a high cri version, but Iam happy with its beam colour and tint. The light itself could not tailstand ,which I would have loved to have in this light.The light when pointed to ceiling at turbo or high can easily fill a room with plenty of light.I have surprised many of my friends showing this flashlight's power.All of them were accustomed to their cell phones dim camera lights and was surprised to see such a small light creating twice their brightness. 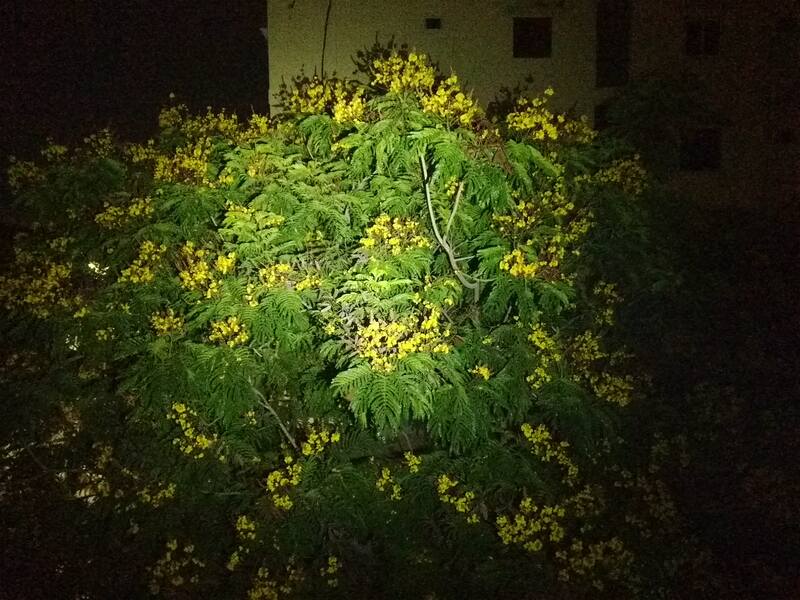 To show the brightness, I have taken a picture of a tree both in sunlight and at night time with Nitecore Tip. The light also has a AR coated glass which transfers almost all the light.The glass is perfectly recessed inside the reflector to prevent any scratches. On a fully charged light ,I always get useful light for more than the stated runtime.I mostly use it on high mode and easily get around 2 hrs of useful light.While the battery is almost drained, the switch illuminates red led every 2-3 seconds.Its to warns the user about a depleted battery.But this small light keeps on blinking every 2 sec even if the light is off, resulting in further battery drain.A fully drained light won't turn on the light to prevent overdraining of battery.The light can be used even while it's charging, even though I don't prefer or recommend it as to prolong the battery life. I carry my light in my cargo pockets.I have accidentally activated the light once or twice while carrying it in my jeans pocket.The light has a lockout feature which I find useful when carrying this light in my backpack with other items.Once I have forgotten to activate the lockout mode and found the light to be running in high mode getting very hot inside my backpack.The light is highly prone to accidentally getting activated if carriend in tight clothes or bags. 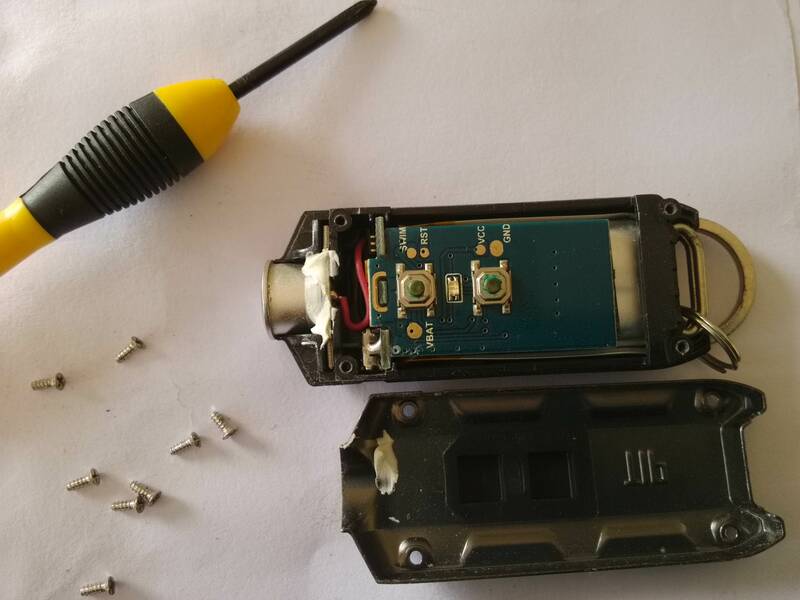 Another thing that ,I had trouble with was the USB port.Since it doesn't have any rubber boot like Nitecore tube, plenty of dust gets stuck inside.Once a slight cotton piece got stuck inside and I had trouble getting it charged since the USB cable was not getting connected properly. 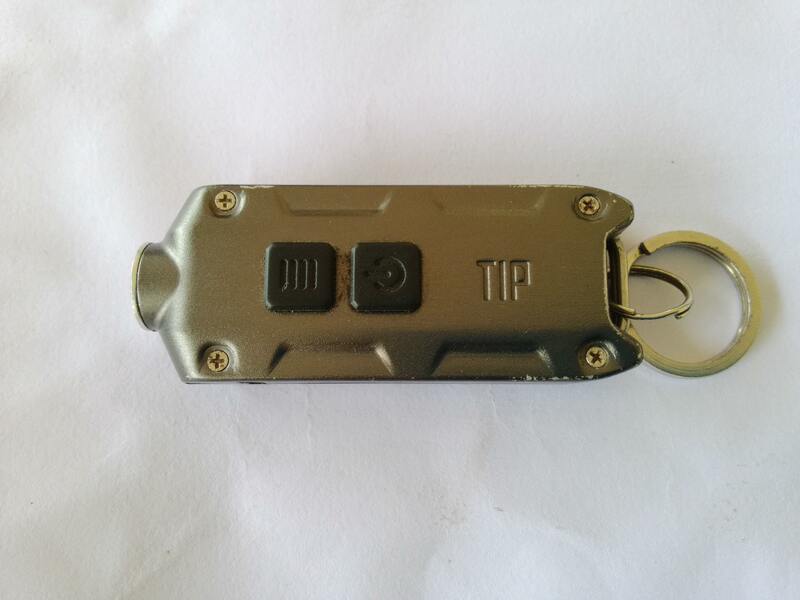 Now Nitecore lauched Nitecore TIP with a pocket clip accessory which claims to prevent accidental activation and unwanted dust particles entering USB port. 2-User interface.Instant access to turbo and low from off.Well spaced modes. 4-Tactile,responsive and well spaced switches. I nearly forgot to mention, as there was a parasitic drain issue on intial models, I was also worried somewhat.But on mine I tested and verified that no parasitic drain was there.I guess I bought the upgraded 2016 model and not from the initial batch. 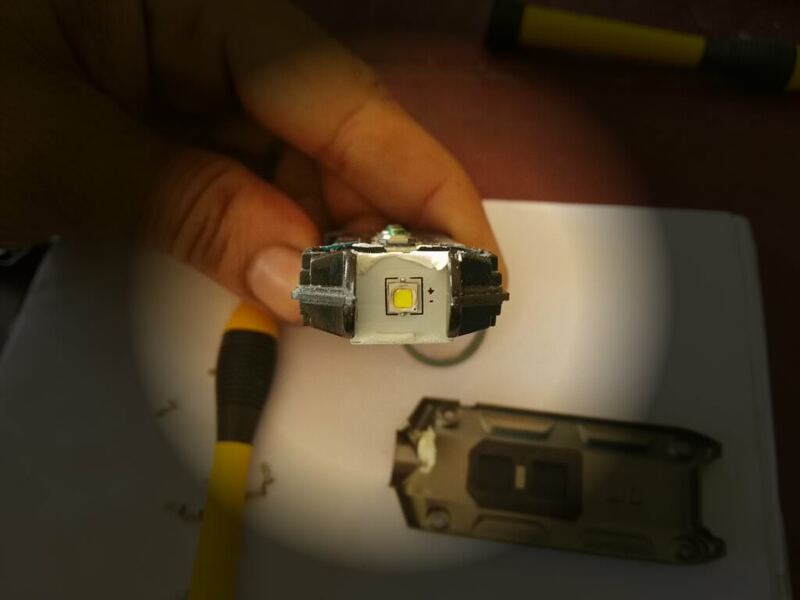 Yes, as far as I understand, Nitecore TIP can be modified quite easily.Just find your right LED bin and just reflow it into the board. I will try to mode mine also into a hi cri LED later.As for now Iam quite satisfied by the stock emitter. I bought a CRI version recently. I find the tint to be overly cool and color rendition seems poorer than other 4k-5k lights I own (of unknown CRI, presumably 70). Clip broke almost immediately under minor strain. It’s really rather large too. My trusty old ThruNite NW Ti3 AAA has about the same bulk factor and does everything better. my clip broke very quickly as well, also keep finding it turned on while on keychain and carrying in sweatshirt pocket. I wish they would add lockout back into the UI, I prefer the older winter edition I have over the newer CRI that has these issues. I haven't bought the plastic clip version yet.I was pretty happy with the older version with electronic lockout. Its highly prone to accidental activation when carrying in tight spaces.So electronic lockout is a must feature. 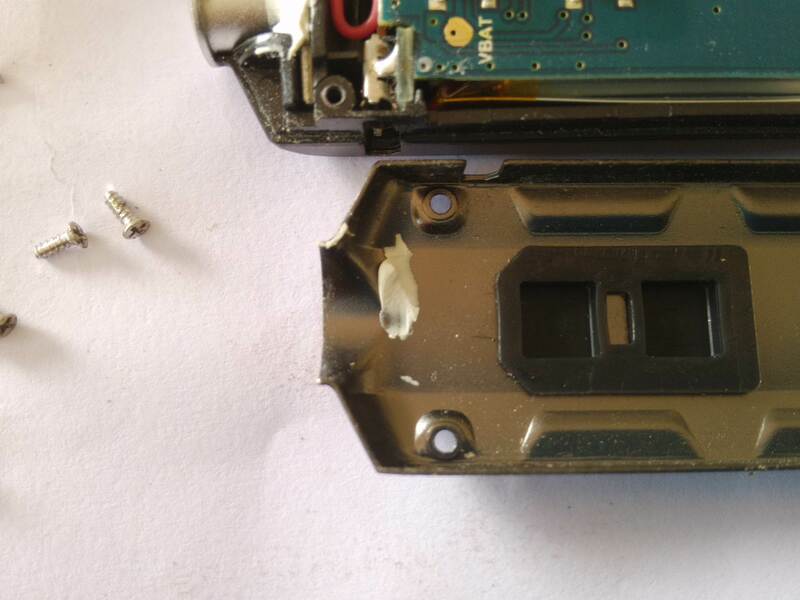 I agree that, the plastic clip can make it more bulky .Maybe they should have just added a rubber usb boot to the original version with a simple flat mettalic clip added to the body using screws.That should have made it more robust and trendy.